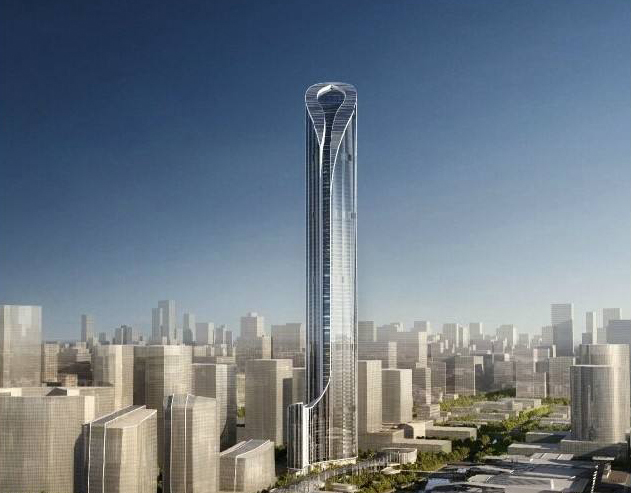 After completion of Guangzhou Chown Tai Fook Center, it will become the highest, super high-rise, comprehensive building in Guangzhou, with 111 floors above ground, 5 floors underground and 530-meter ground height, equipped with office area, hotels and residences, etc. The center is located in Canton CBD. 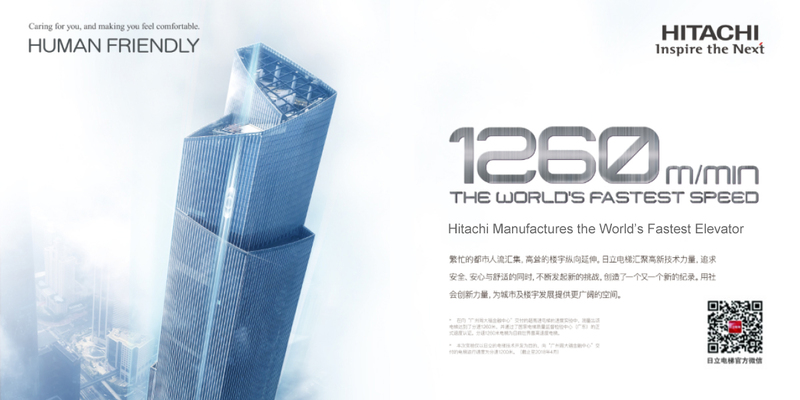 Hitachi Elevator provides the world's top speed elevator with a sub-speed of 1260m for Chow Tai Fook Financial Center. It only takes 43.2 seconds to reach the 95th floor hotel lobby from the 1st floor. The building also applies Hitachi's latest Fi-Bee group control system, in conjunction with the security system, so vertical traffic of the building will be properly arranged. Building Floor No. : 116 floors (111 floors above ground, 5 floors underground). Building Application: offices, hotels, apartments. Vertical elevators: 95 (28 of which are double car elevators). 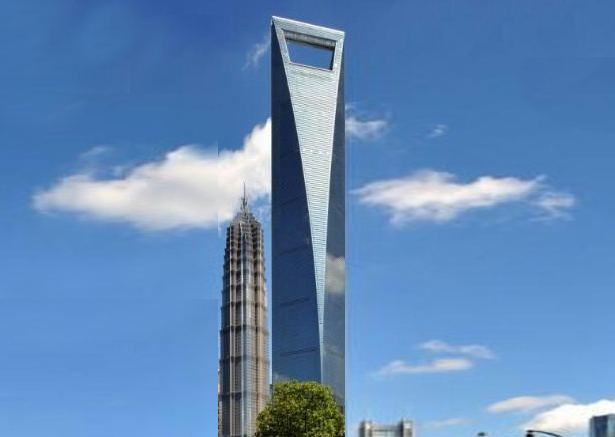 The Shanghai World Financial Center in Lujiazui is the highest flat-roofed building in the world. 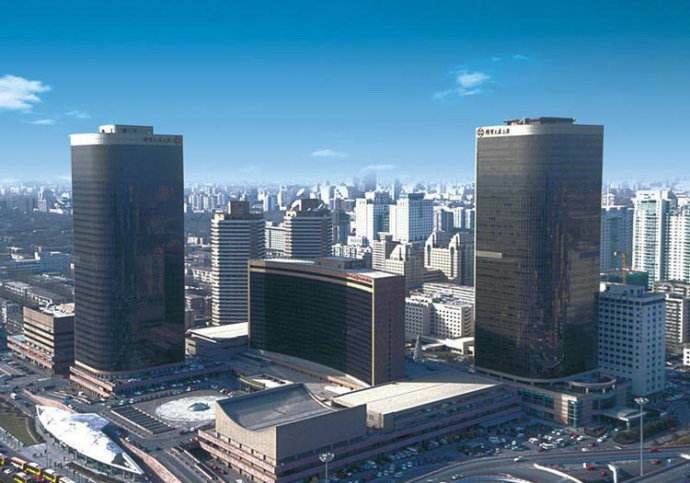 The building consists of shopping malls, office buildings and high-end hotels. It is a high-end boutique building integrating leisure shopping, business offices and sightseeing, and is a ‘must-see’ when visiting Shanghai. 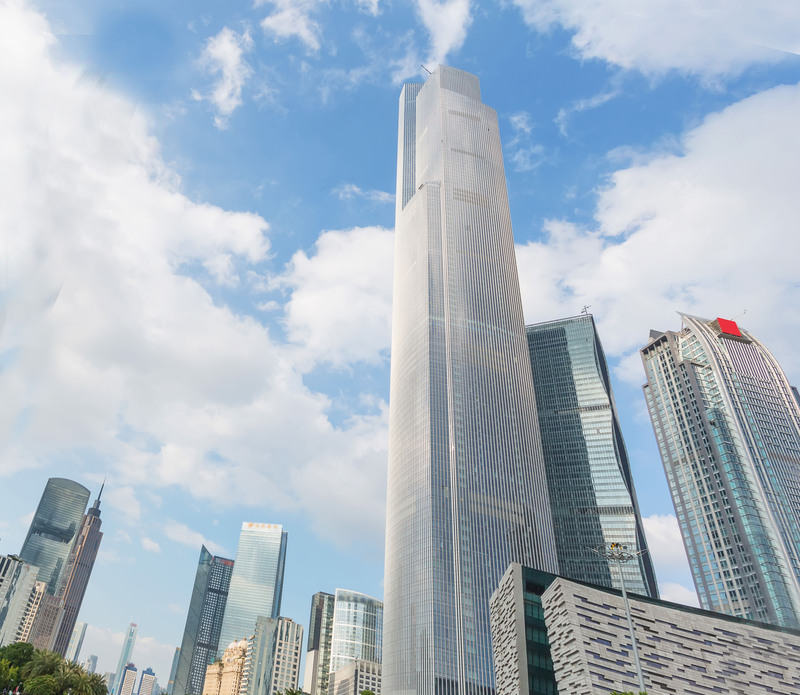 Hitachi has provided the world's largest, ultra-high speed, sightseeing elevator for the Shanghai World Financial Center. It only takes one minute to reach sightseeing on the 95th floor from the 2nd floor underground. Service Highlight : the world's largest, ultra-high speed, sightseeing elevator. Shenzhen Ping'an International Finance Center is located in Futian CBD of Shenzhen, in the southwest corner of the intersection of Fuhua Road and Yitian Road, adjacent to a shopping park, opposite to Shenzhen Convention and Exhibition Center, with a total land area of more than 18,931 square meters, a planned total construction area of 302,900-378,600 thousand square meters, and a floor-area ratio of 16-20. The project will be developed into a large-scale commercial complex including shopping malls, offices and hotels, comprising the highest building in Shenzhen. Highlights : Highest Building in Shenzhen. Qingdao Haitian Center is an ultra high-rise city complex integrating seven kinds of commercial activities: hotel, offices, conference center, businesses, apartments, sightseeing, culture and entertainment. Composed of international banquets and conference centers, hotels and high-end seaview apartments, and so on, with a construction area of 490 thousand square meters, and a total investment of 13.7 billion Yuan, it consists of three towers. 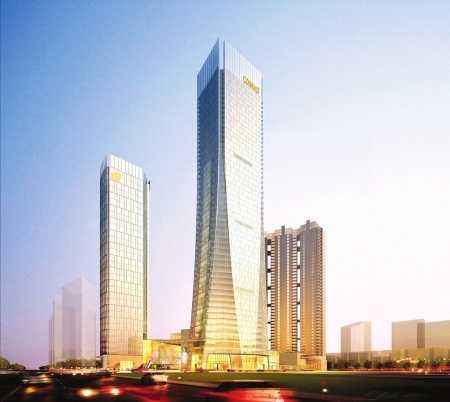 Among these, T2 tower is 369 meters high, and after completion, T2 tower will be the highest building in Qingdao. The project is located at 48 Hong Kong West Road, South City District, Qingdao City. The foundation of Suzhou International Financial Center was officially laid on March 2, 2010. The project will include construction of a 92-floor, 450-meter-high ultra-high building, as the highest buiding in Suzhou. Building Height: 450.00 meters. Elevator Top Speed: 10m/s. 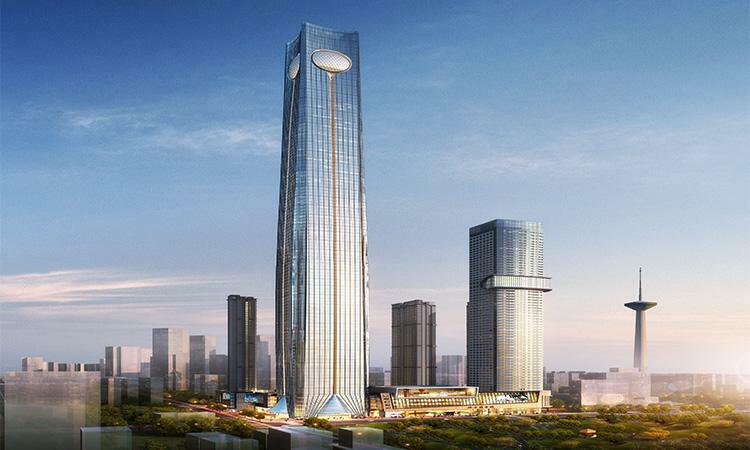 Project Highlights : the highest building in Suzhou. 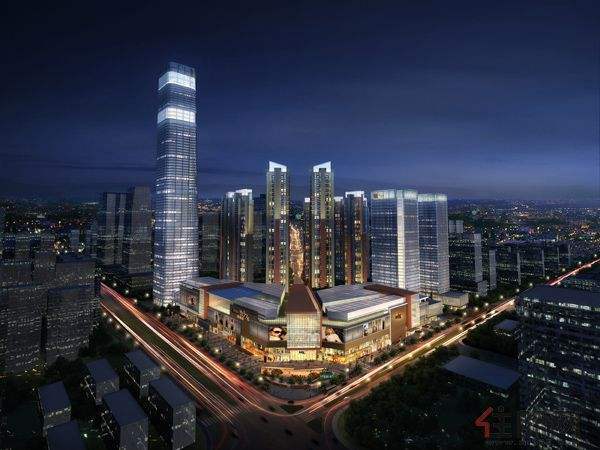 Located in the Asean International Business District core area, with a total construction area of about 1.2 million square meters, a total investment of more than 8 billion Hong Kong dollars, Nanning China Resources Center will be constructed into a large-scale, integrated, modern, high quality, landmark commercial complex, with "Vientiane City" as its core, integrating shopping centers, offices, five-star hotels, noble homes, and many other functions. Phase I Vientiane City Shopping Center, and an international standard 5A grade A office building at the west block of the China Resources Building. Elevator Top Speed: 10 m/s. Top Speed: 10m/s. Xi 'an International Financial Center, with a total investment of 3 billion yuan, a total construction area of about 289,978 square meters and 75 floors above ground, is the highest building in northwest China with Xi 'an chief, international, high grade skyscraper office building achieving a brand new commercial height in the Xi'an modern office building market. Elevator Top Speed: 9 m/s. Project Highlights : the highest building in northwest China. China World Trade Center Tower 3 or World Trade 3 for short, is now the highest building in Beijing. Located in the CBD of Beijing, it was completed in 2007 with 80 floors, 330 meters high, jointly invested and constructed by World Trade Center, and Kuok Brother Group. Together with the first and second phase of China World Trade Center, it forms a building complex of 1.1 million square meters, and is the largest international trade center in the world today. Elevator Top Speed: 8 m/s. Project Highlights : world's largest international trade center. The headquarters building of China Resources is located in the core position of Shenzhen Houhai Central Area, east of Keyuan Avenue and south of Hyde Three Road. 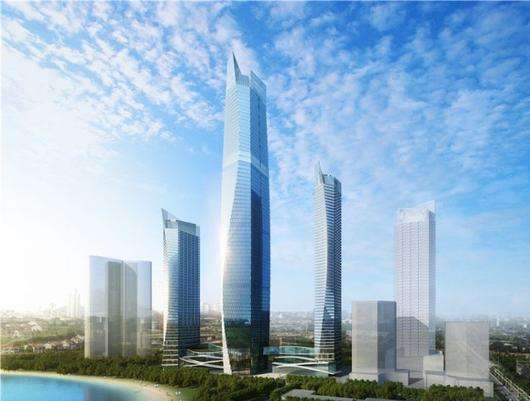 After four years, the 525-meter-high headquarters building of China Resources will set a new height record in Shenzhen western architecture, and surpass the 441-meter-high Jingji 100 Building, becoming a strong competitor for the top height in the future of Shenzhen. 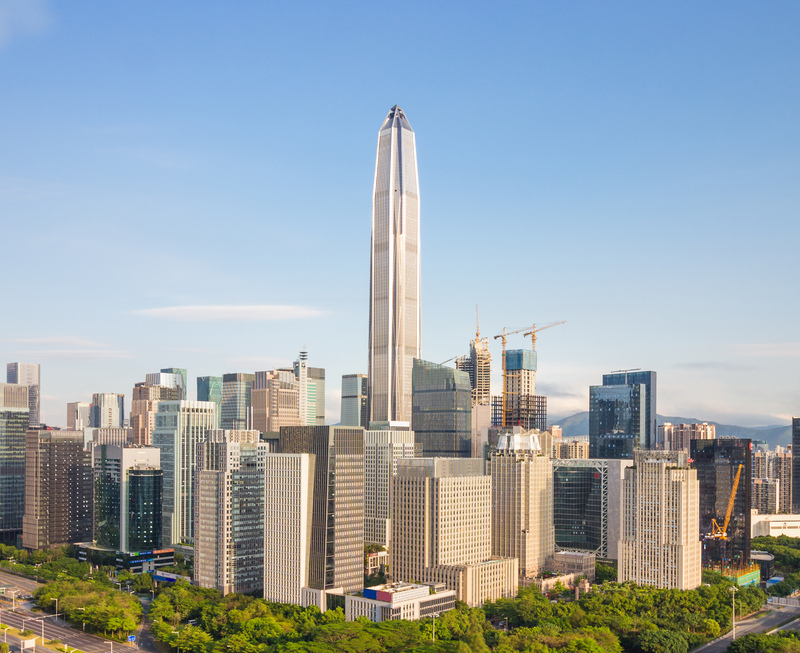 Project Highlights： Shenzhen’s Second Highest Building. 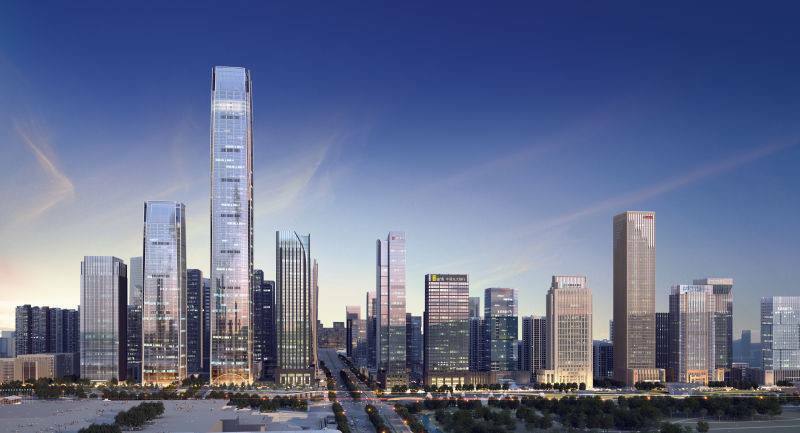 The total construction area of Chongqing Jiulongcang International Financial Center project is nearly 600,000 square meters, integrating grade-A offices, high-end shopping centers, five-star hotels, high-end apartments, and leisure facilities. The project consists of five towers and a large shopping center; of which, the highest tower is 319.5 meters high, and is one of the three landmark buildings in Chongqing Jiangbeizui CBD. Elevator Top Speed: 7 m/s. 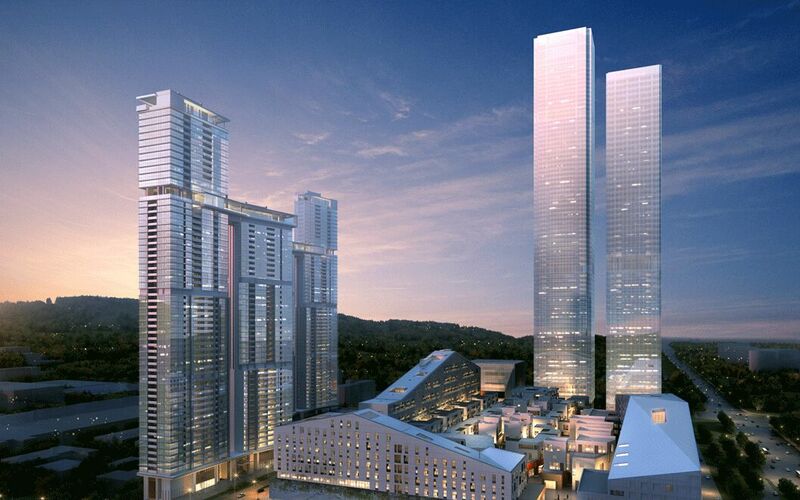 Project Highlights : Chongqing CBD Landmark. 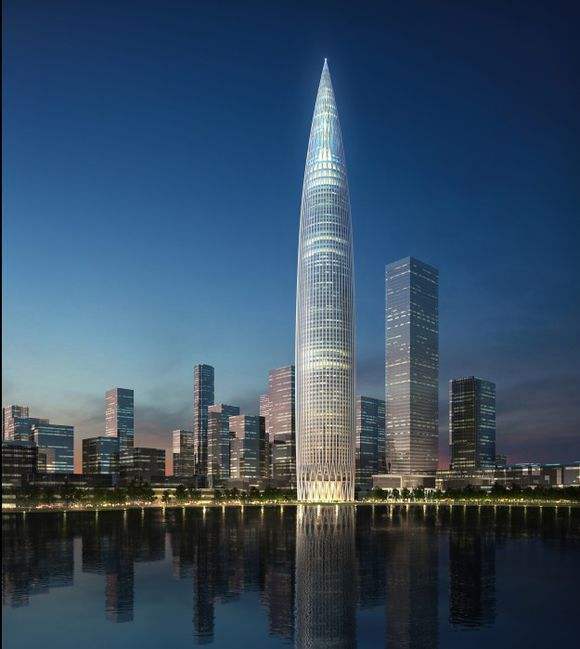 Changsha International Financial Center is an ultra-high, large-scale, city complex integrating large boutique shopping malls, high-end office buildings, international, platinum, five-star hotels and other facilities. 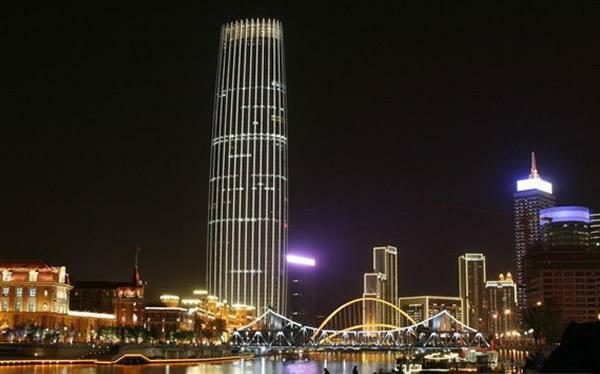 The 452-meter-high Changsha International Financial Center building is the highest building in Hunan Province. Hitachi Elevators were exclusively adopted to Changsha International Financial Center, of which 84 are over 5m/s, high speed elevators. Project Highlights : the highest building in Hunan. UpperHills is a city complex integrating industrial roads, apartments, hotels and businesses. Located in the Futian Central District, the project contains three central parks, connecting Lianhua Mountain and Bijia Mountain through a landscape corridor, introducing green ecology into the project, joining isolated city islands with three-dimensional transportation and business combinations, and creating a multi-functional space for freedom, ease and self-satisfaction. The project focuses on leading a "life based on fashion" through creative design, product innovation and quality design. 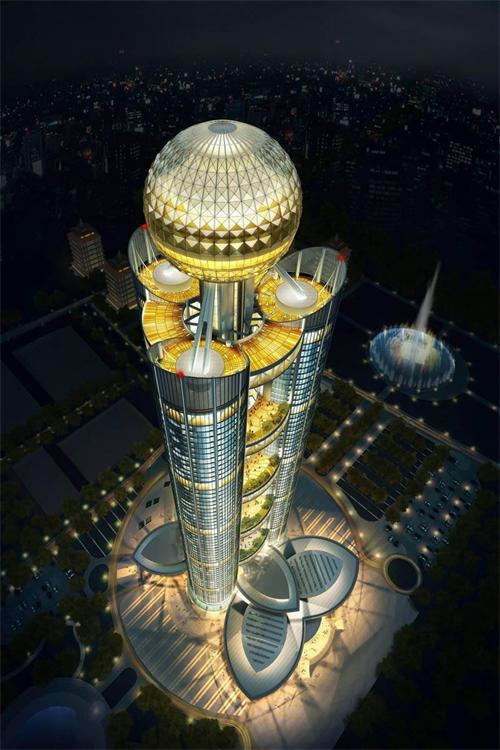 Located in "the first village in the world" -- Huaxi Village, Jiangyin City, Wuxi City, Jiangsu Province, Aerial Huaxi Village (Zengdi Air Building in west China) is 328 meters high, with 72 floors above ground, 2 floors underground, and an investment of 1.5 billion yuan. The building has five hanging gardens and top clubs with themes of the five elements: "gold, wood, water, fire and earth", equipped with the most advanced monitoring, fire control and other equipment in the modern world. After completion of the building, it will become a landmark building in Huaxi Village and a major feature of rural China, with the attitude of " Three legs of a Tripod, the Pearl on the Top like the Sun in the Sky ". Elevator Top Speed: 10 m/s. Building Application: offices, hotels, residences. Project Highlights : "The Air Giant of "The First Village in the World"
Zhongtian Financial City International Community is located in the 9 square kilometer Guizhou Financial North City Plate, built by the government for 40 billion yuan. 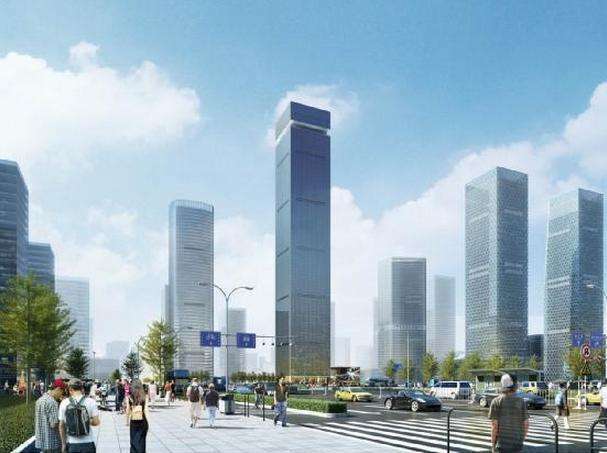 The Guizhou Financial North City will form the development pattern of One Belt And One Road, three hearts and four wings, and will be the new center of Guiyang North City. Zhongtian Financial City International Community occupies the core intersection position of One Belt And One Road, as well as the core area of urban planning for Financial North City. It inherits the complete, superior, supporting resources of Financial North and integrates the resources of high-tech, science and technology, finance, conventions and exhibitions, and other resources, forming the value center of the city. It is bound to lead the city development direction of Guiyang in the next decade. Shenyang Baoneng Global Financial Center is located in the former northern library city along the golden corridor, which was invested by Shenzhen Baoneng group for 12 billion yuan. With a total planned construction area of 1 million square meters, the main building is named "Northern Pearl". Project Highlights : highest building in northeast China.